​Katie has a unique performance background of dance, musical theatre, competitive dance, and competitive figure skating. As a teacher, she specializes in the Classical Ballet Syllabus as was founded by Agrippina Vaganova and has studied pedagogy of the technique and syllabus under the late Professor Peggy Willis-Aarnio and is continuing her studies with Lyla Medeiros. She is a member of the National Dance Education Organization and is working towards her Certificate of Dance Education. She teaches Classical Ballet, Pointe and Variations, Jazz, Tap and gives intensive coaching for performance and competition with an emphasis on stage presence for both skaters and dancers. Her goal as a teacher and choreographer is to further her student’s understanding of the creative process and how to keep their bodies injury free and strong during training. Katie is a member of the USFSA and AFSC currently training in the adult division of U.S. Figure Skating with Kevin Franchini, Director of the Outpost Ice Arena. Katie is a 3 time gold medalist for the Freeskate event at the Adult Figure Skating National Championships years 2016 Adult Bronze Level, 2017 and 2018 Adult Silver Level. Katie has received scholarships to the New York Film Academy, The New York Conservatory for Dramatic Arts, and the American Musical and Dramatic Academy, and was accepted to the elite year round program with Valentina Kozlova’s Dance Conservatory of New York. Locally, she has performed with Opera Southwest, NMSO, Albuquerque Little Theater, Lende Youth Theater, and MPAC. In 2011 she was selected to participate in the first Valentina Kozlova International Ballet Competition, won Top Soloist for Showstoppers Dance, and was the highest scoring dancer at Cathy Roe’s Ultimate Dance. In 2009 she was selected to be part of the National Companies for Cathy Roe’s Ultimate Dance Competition The Fashion Show Dance Co. and Dance Spectacular Dance Co. In 2010, Katie began choreographing for The Dance Spectacular Dance Co. From 2013-2017, Katie was the Director of the Fashion Show Dance Company. From 2014-2017, Katie worked on staff for the competition company traveling as an Adjudicator, Emcee, Assistant Director and Logistics Coordinator. More of her dance background includes Flamenco, Spanish Classical and Castanets which she studied under Lily del Castillo, Rhythm Tap, Latin Jazz, Lester Horton and Martha Graham Modern Technique, Body Awareness and Injury Prevention mat work techniques with Celia Dale and Michelle Vaughn, and Theatre Arts and Acting with Elizabeth Lende. Michelle has been training in dance and gymnastics for over 20 years. Competing in both for several years and receiving state and national titles. Her love for teaching began 16 years ago when she started teaching gymnastics at a local gym. She has taught gymnastics, ballet, jazz, contemporary, hip hop, and lyrical at several local studios, and has choreographed for many recitals, showcases, and local competitions. She is also teaching for a youth outreach program called Youth Empowerment Through Dance, which is sponsored by The Native Health Initiative. In 2011 she became the Artistic Director of the Marshall Performing Arts Company (MPAC) and in 2014 Michelle started Evolve Dance Company. She is also the Co-Director of the Early Childhood Program at Marshalls. Kevin’s classical training began with Park Avenue Dance Works in Colorado, Joffrey Ballet Chicago, Aspen Santa Fe Ballet, and Moving People Dance Santa Fe where he studied with artists Ronn Stewart, Jock Soto, Michael Vernon, Sam Watson, and Dudley Davis. His theatrical repertoire includes five seasons with The Santa Fe Opera performing principal dance roles in La Traviata, The Grand Duchess of Gerolstein, and Lucio Silla wrapping his 2016 season as the Assistant Choreographer for Roméo et Juliette and Don Giovanni. His original choreographic works Quantum and Quantum Luminous have received both national and international recognition and honors. Other performance credits include: The Richard Tucker Gala with Susan Graham at Lincoln Center, The Carnival of Wonders in Atlantic City and Las Vegas, and Raymonda set by the staff of VKDCNY. As a company member of FBA he has performed in The Nutcracker in the Land of Enchantment (Sugar Plum Cavalier, Snow King, Dewdrop Cavalier, Lead Fandango, Señor Pacheco), Dracula, A Love Story (Count Dracula), and participated in Regional Dance America 2015 and 2016. Kevin’s other accolades include scholarships to the New York Film Academy and The University of Arizona’s BFA Program. Kevin is a member of The Society of American Fight Directors training in stage combat and stunts for film and television. With seventeen years of teaching experience, Kevin is the current Technical Director at Marshall Performing Arts where he teaches a full curriculum of dance education and is also a teacher on staff with Dance Theatre of the Southwest. He has taught dance and gymnastics in many recreational studios as well as pre-professional and professional companies throughout the state of New Mexico including Moving People Dance Santa Fe, Sandra’s School of Dance, Alwin School of the Dance, and New Mexico Ballet Company. 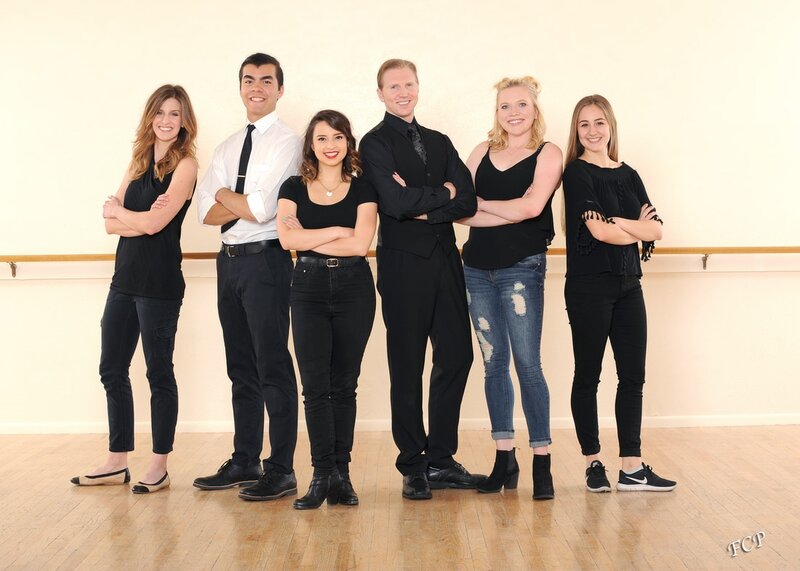 Kevin is also the annual Guest Master Teacher, Choreographer, and Performance Coach for Weehawken Dance summer and winter intensives in Colorado. From 2005-2009 Kevin worked with Roger Montoya founder of the program Art’s in the Schools which focused on bringing dance, music, gymnastics and the performing arts to Espanola, New Mexico public school students ranging from Pre-K through grade 12. Lyla Medeiros was trained by Valentina Kozlova (Bolshoi Ballet, NYCB) and is a graduate of Valentina Kozlova’s Dance Conservatory of New York. Lyla also trained with Diana White and Roma Sosenko (NYCB) and Christian Classens (Dutch National Ballet). Lyla was a teaching apprentice to Valentina Kozlova for 6 yrs and was on faculty at VKDCNY from 2003 to 2008. In addition, Lyla holds a B.A. in Dance Studies from the State University of New York - Empire State College and an MS in Library Science from Indiana University. She is a 2013 Dance Heritage Coalition Fellow. Lyla's specialty is teaching Vaganova based Classical Ballet technique. She is available for private technique lessons as well as performance and competition coaching for classical and contemporary ballet. Lyla specializes in correcting technique issues in intermediate level dancers and preparing students wishing to be professionals for the most advanced levels of study. Anna Ward studied under Maria Tallcheif of the Osage Indian tribe - Prima Ballerina with NYCB, and Madame Nathalie Krassovska - Prima Ballerina with The Ballet Russe de Monte Carlo and founder of the Krassovska Ballet Jeunesse. Anna choreographed, and performed in, many pieces for the Krassovska Ballet Jeunesse of Dallas where she directed the children's program at Krassovska School of Classical Russian Ballet and taught /choreographed for three years at the City Ballet Dallas. She was the Artistic Director for the Galveston Ballet from 2005 until 2010. In addition to her dance training, Anna holds a BFA from Emerson College (Boston, MA) and Teaching Certificate from Dallas Baptist University. Anna received her earliest dance training from Frank and Irina Pal, in her home town of Wichita Falls, TX. Ms. Ward was a scholarship student with the Neubert Ballet at Carnegie Hall NYC and Harvard Summer Dance Center. While living in New York, Anna studied with Istvan Robosky and Peter Nelson. She received Modern dance training at the Murray Louis / Alwin Nicolias Dance Lab. Ms. Ward performed in the musical Texas! as the Lead Flame under the direction of Neil Hess. Along with dancing principle roles with the Ballet Jeunesse, she also performed with companies such as Irving Ballet, Ballet Met, Dance Fusion, Allen Civic Ballet and others. She enjoyed six seasons with the Dallas Opera as a featured dancer. Anna discovered her passion for choreography early in her training and set her creativity in to motion. Anna's choreography has been set on many ballet companies throughout the state of Texas such as Allen Civic Ballet, Ballet for the 21st Century, The Woodlands Festival Ballet, Galveston Choreography Conference, and more. Ms. Ward was named Artistic Advisor for the Ballet Foundation for the Ballet for the 21st Century and commissioned to teach at the prestigious Salzburg International Ballet Academy in Austria (Summer 2008). In Summer 2009, Ms. Ward traveled to New York's Long Lake Performing Arts Center to choreograph several original ballets. In June 2010, Galveston Ballet was invited to tour Norway to perform Ms. Ward's choreography. Anna is part of a network of international faculty for European Dance Art Salzburg (EDAS) and continues to pursue the creation of her original ballets. Olivia grew up in Albuquerque, New Mexico and has been dancing for over 20 years. She attended New Mexico State University where she received a minor in Dance and was a part of NMSU’s Contemporary Dance Theater from 2008-2011. Olivia’s senior work was chosen as the student choreography to represent NMSU at the American College Dance Festival Association in the spring of 2011. Olivia’s passion for dance expanded and took flight as she trained and performed as an apprentice in Dance Trapeze, Rope and Harness, and Aerial Fabric with Project in Motion Aerial Dance Company in Las Cruces, New Mexico. After becoming a full company member with Project in Motion she performed, choreographed and co-taught a Beginning Aerial Fabric Class. Currently, Olivia is pursuing, exploring, and learning more about dance every day! As a freelance dancer, choreographer, and teacher, Ms. Lichlyter has taught modern and jazz dance at Colorado State University, Western Michigan University, Texas Christian University and UNM. She has performed professionally with the Pulse Dance Experience, a modern/jazz dance company in Colorado, with Tim Wengerd and Company, a Graham based company, and was a founding member of the aLANDdance Performance Company, a multi-disciplinary company incorporating poetry, dance, music and film. Her choreographic works have been presented throughout the United States, Norway, and the Netherlands. She teaches modern dance at Keshet Dance Company and Marshall Performing Arts Conservatory. Marta Lichlyter holds a Ph.D. in Dance and Related Arts as well as a Masters in Choreography and Dance Education. Joe Nava’s ballet training began with Marshall Performing Arts Conservatory (MPAC) and Dance Theatre of the Southwest, and 3 years with Ballet Chicago where he studied with Daniel Duell, Sheila Rozann and Ted Seymour. Nava is a founding member of Festival Ballet Albuquerque who’s performance credits include: The Nutcracker in the Land of Enchantment (The Nutcracker, Fandangos, Humming Bird, Spanish, Chinese, Snow), Peter and the Wolf (The Hunter), Billy the Kid, Coppélia (corps), A Midsummer Night’s Dream (Bottom), and Dracula, A Love Story (Dr. Van Helsing). He has studied Classical Ballet as was founded by Agrippina Vaganova, The Balanchine Method, Horton and Graham Modern Technique, Bulgarian Folk Dance, Flamenco, and Classic Jazz. Joe has received scholarships to Ballet Chicago, Arizona Ballet, State Street Ballet, and The Kirov Academy of Ballet. He was accepted to Ballet Chicago’s Year Round program and Studio Company and State Street Ballet’s Year Round and Apprentice Programs. In summer 2017, Nava attended the Summer Historical Dance Weekend & Workshops, “Exploring Nijinsky’s notes revealing his choreographic ideas for a sarabande to music of Bach” which focused on reseting two of Nijinsky’s works Rite of Spring and Jeux; hosted by the New York Baroque Dance Co. with Artistic Director Catherine Turocy, internationally acclaimed expert of Baroque and Pre-classical ballets. Early in his career, Joe was acknowledged for his choreographic talents for his original work Waltz of the Mimes winning the regional and national choreography award at Cathy Roe’s Ultimate Dance. Aloha Kakou! My name is Kellie Villicano. I have been dancing Hula since 1994 and 'Ori Tahiti since 1997. I was taught in Gardena, CA from Kumu Hula, Kanani Kalama of Kanani Kalama Hula Studio. I have competed twice in E Hula Mau hula competition in Irvine, CA and have performed every year in the annual Ho'olaule'a in Lawndale, CA. I continued my passion for Polynesian dance when I moved to New Mexico in 2005 by dancing in another local group, Hawaiian Pride, Rio Rancho. ​I decided to start Ka La Kapu in hopes to add more variety to the perpetuation of Polynesian dance and culture in Albuquerque, New Mexico. I continue to grow in my own education by attending certified workshops by world renown Kumu/Ra'atira, such as Adelina Hinemanea, Tiana Liufau and Mahealani Hirao-Solem as well as staying connected with my Kumu Hula, Kanani Kalama for guidance and also to keep the lineage of her Hula alive. I am excited to teach my knowledge and passion to my Haumana (students) and to share the Aloha with the community. Samantha Rogers realized her passion for dance at only five years old and has excelled at and attained her goals continually for the past 12 years, as she continues daily practicing and enjoying her talents and skills. Her highly ranked competitive titles are numerous both locally and nationally. Among many, Samantha has studied with the NYC Rockettes and Cincinnati Ballet and was an elected member of the CRU Dance Spectacular and Fashion Show. Samantha has received extensive training in Vaganova Ballet and has a high level of understanding of the technique. Samantha excels academically as well. She has studied dance at Cornish College of the Arts in Seattle, WA and is continuing her college degree at Chapman University where she is a Dance major with a minor in Biology. Marshall Performing Arts Conservatory is owned and operated by Tim and Rosanna Marshall and was established in 2008. Rosanna has a background in Early Childhood Development and Primary Education as well as Business. She is currently developing the latest designs for Brilliant Costumes which is featured annually at the CRU Dance National's Fashion Show Company Under the Direction of Katie Marshall. Tim is a 22 year veteran of the Albuquerque Fire Department. In addition to keeping things running smoothly at the dance school, he owns and operates Marshall Appliance Repair. If you're in need of appliance repair, give Tim a call at 505-235-0641.